Whether you’re installing a ducted or split air conditioner, it’s a sizeable investment for any homeowner or commercial property manager. H&H Air Conditioning Installation Brisbane understands you want a trustworthy and experienced technician to look after your installation from start to finish. Our installation process is efficient, dedicated and based on years of local experience. We only recommend and install the best Brisbane air conditioning units to ensure your selected air conditioner lasts the distance. 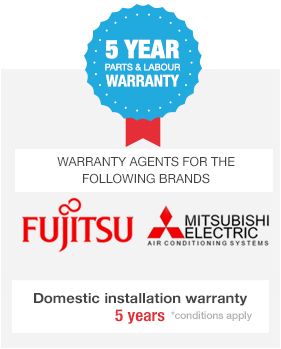 H&H Air Conditioning Installation Brisbane offer a superior quality product and service and we back it up with a 5 year warranty on parts and labour. If you’ve been searching online for terms like ‘Air Conditioning Installation Brisbane‘, ‘Air Conditioner Installation Brisbane‘, ‘Air Conditioning Installers Brisbane‘, or ‘Air Conditioner Installers Brisbane‘, you’ll find a wide range of companies. H&H Air Conditioning Installation Brisbane stands out above the crowd due to our uncompromising focus on quality and service. Talk to a member of our professional team today and find out why we’re the best choice for air conditioning installation Brisbane wide. Aside from knowing H&H has the best air conditioning installers in Brisbane, you might want to know our process once you make an enquiry. In short, we look after you from start to finish and take care of everything, but read on for our detailed process. #1. Once you contact H&H Air Conditioning Installation Brisbane we’ll answer any questions and provide some initial advice on the right unit for your requirements. If you decide you want to receive a quote, we will go ahead and help you book this in. #2. One of our Sales Engineers will arrange a suitable time and date for a Site Assessor to visit your home or business. #3. Once we develop an understanding of your needs, we will deliver a quotation based on our assessment, discussion and recommendations. #4. Have you accepted the quote? Great. A Sales Engineer will pin down an air conditioning installation date with one of our experienced Brisbane Air Conditioning Installers, working around your availability. #5. Following installation and payment, a Service Agreement can be drawn up for air conditioning service and maintenance, if you need our ongoing support. The Best Air Conditioner Installers Brisbane Has To Offer! We take the time to hire the best Brisbane air conditioning installers and most of our team have been with us for many years. Our whole team takes real pride in their work as we know it’s what you’ve come to expect from the H&H brand. There’s much more to air conditioner installation than simply installing the unit. It goes right back to the initial purchase, and doing it the right way will save you money. There’s selecting the right unit, there’s planning involved, legislation to consider, safety issues and more. Avoid the dangers of incorrect air conditioning installation, Brisbane homeowners! Follow our air conditioning installation tips so you can keep cool with total peace of mind. Selecting the right unit has a lot to do with your budget and needs. Whether you go for a split-system, fixed-system, ducted system, reverse cycle or cooling only device will depend on how much money you have to spend and the amount of space you need to cool. • Where will the system be placed? – Your Brisbane air conditioner installer should be knowledgeable on noise legislation and help you select a unit that works in with your available space and takes into consideration surrounding neighbours. • What do you want the system for? – Is it to cool the whole house or just a couple of rooms? • Wiring – Your air conditioning installer Brisbane professional will assess your home to determine if you have the correct wiring, power outlets and power supplies or if you need more installed. This must be factored into the price of installation. • Insulation – Your H&H Air Conditioning Brisbane Installer may recommend that you install more insulation in your walls or ceiling prior to purchasing an air conditioner as this may reduce the size of the unit needed and helps in energy efficiency. • Unit size – An experienced and licensed Brisbane air conditioning installer will be able to help you determine the cooling capacity needed in an air conditioner. Not only will they determine this by room size, but they will also factor in things such as windows and door locations, sizes and orientation, sunlight and draughts while they visit for an assessment. • Upfront costs – Can you afford the large upfront costs of ducted air conditioning or is a split-system more affordable? Get the right system for your needs. Even if you’re on a tight budget, don’t be tempted by a cheap air conditioner. It may be a bargain, but it’s likely you’ll get an energy inefficient piece of junk that will often end up costing you a lot more than you bargained for! Really, it’s just not worth the risk. When an air conditioning unit isn’t installed properly, poor energy efficiency, ineffective cooling and heating and high electricity bills are almost always the outcome, as well as a safety risk. Most often when you use the dealer who sold the air conditioning unit to you to complete the install, they will have their own technicians who are licensed by the Australian Refrigeration Council and experienced with handling refrigerants. But, there are some dealers that use contractors who may not necessarily have the license or experience required to carry out a safe and professional install. As an example, when someone isn’t experienced in dealing with refrigerants and they do not prepare the refrigeration lines properly, erosion can occur within the compressor potentially leading to a void of warranty. Erosion can also harm the performance of the air conditioning unit. When it comes to air conditioning installation for your Brisbane home, never be afraid to ask the dealer to view the installer’s qualifications and licenses. Just like any other electrical appliance, buying something cheap could mean that you’re compromising you and your family’s safety. If the air conditioner is not manufactured in accordance with Australia’s strict standards, it may not have been subjected to appropriate safety testing. Inferior products like this could be fire or electrocution hazards and may void your insurance if anything were to happen, not to mention putting your family’s life at risk. The Environmental Protection Regulation 1998 poses noise limits for air conditioners. Cheap air conditioners are more likely to be noisy because they lack quality construction, or they may lack proper insulation. Having a noisy air conditioner could risk you receiving a noise complaint and an on-the-spot fine from the council. Even worse, you may be up for extra costs to move the system. When buying a cheap air conditioning unit you need to put things into perspective. The money you save on purchasing a cheap unit is likely to be redirected into paying for breakdowns and repairs or for higher than normal electricity bills because your cheap air conditioner runs inefficiently. Why? Because cheap air conditioners are commonly made with substandard parts and using low quality manufacturing processes. It’s common for cheap air conditioners to be sold without any guidance as to whether the unit is right for your needs. Brisbane homeowners seeking a bargain tend to find these units going cheap online. The problem with this is that a professional has not been able to provide advice on the size and type of the system and whether or not it is suitable for the buyer’s home. It’s also very hard to determine whether the business selling the air conditioning unit is reputable and that the unit is of good quality. If you then ask a professional Brisbane air conditioning installer to assist with the installation, the unit may turn out to be unsuitable. Buying a cheap air conditioner may also mean that follow-up service is not provided. If it’s a lesser-known brand, it could be very difficult to find a technician who is familiar with its workings. Replacement parts could prove difficult to find or may cost a lot to be shipped to Australia if they are an overseas brand. Adding to the expense, if there’s no one to talk to for advice, any attached warranty may also have absolutely no value. • Look for air conditioners manufactured by reputable brands, such as Fujitsu, Mitsubishi Electric, Daikin and Polyaire. • Look to buy from a dealer who is also the warranty agent for that brand. This ensures your Brisbane air conditioning installer / dealer is also going to be able to look after any servicing or maintenance issues. • Check that the air conditioning unit meets Australian Standards and approved for use in Australia. The Australian Standard for air conditioners is AS/NZS 3823. Your Brisbane air conditioner installation company, should be able to give you advice on this standard, if you want more information. • The air conditioner should meet Minimum Energy Performance Standards (MEPS). Your Brisbane air conditioning installer should check this standard, as otherwise not only might your unit be non-compliant, but you’ll waste money on running costs. • There should be an Electrical Equipment Safety System (EESS) safety approval mark on the unit that shows it has been approved in Australia, to be used in Australia, and put through rigorous safety testing. • Purchase a unit that displays a Sound Power Label. The higher the number on the label, the noisier the unit. Usually, a unit with a larger motor will be noisier. If in doubt talk to your Brisbane air conditioning installer for more information to avoid any nasty surprises once the installation is complete. • Talk to a professional Brisbane air conditioning installer who is highly knowledgable with the leading brands, models, noise legislation, and cooling capacity. They will be able to help you select the best system for your home and discuss the best location for it in your house. • Seek an air conditioner from a highly reputable company (like H&H Air Conditioning!) who can also look after your Brisbane air conditioning installation needs. Installation of an air conditioner is serious business. Proper Brisbane air conditioning installation can mean the difference of hundreds of dollars on your power bill and prematurely greying hair, and it all starts with the purchase of the air conditioner from the right company! There are a number of reasons why you should aim to use the same company for the entire process – from purchase to install. Ultimately, Brisbane air conditioner installers within the company you purchased the unit from will be experienced with the particular brand and model you select. This means that there is less risk of a unit being installed incorrectly, voiding the warranty. Having the same company install the air conditioner also means that they are more knowledgeable on the system’s sound power level and can work with you to place the system in an ideal spot. That means you won’t get noise complaints from neighbours and have to spend money on moving the system and installing new pipework. Not only will the right team be knowledge of the air conditioners themselves, using the same company from purchase through to install means that the company and their engineers can, at the point of you buying the unit, assessing your home layout, doors, walls, windows, orientation and so on. It is essential that you speak with the installer first before buying the unit. An experienced and qualified installer will know everything there is to know and will guide you in making the right purchase. For professional advice on air conditioners installation Brisbane wide, don’t wait any longer. Contact H&H Air Conditioning Installation Brisbane today!